5 advanced purification stages including a washable HEPA filter to cover virtually every pollutant. A 180 cfm fan that can cover up to 600 sq. ft. Certified for sale in California. 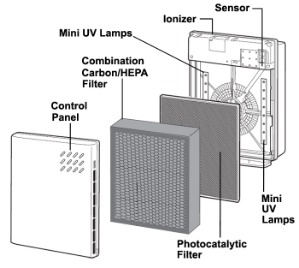 Long-lasting, washable high-efficiency HEPA filter - most effective way to capture dust and allergens.